If you’ve driven past the I-405 exit to Bothell and your curiosity was piqued—since you can’t really see it from the highway—it might be time for you to hit your turn signal and take the offramp. You’ll quickly discover that over the past few years some major changes have made this small eastside community a great destination. 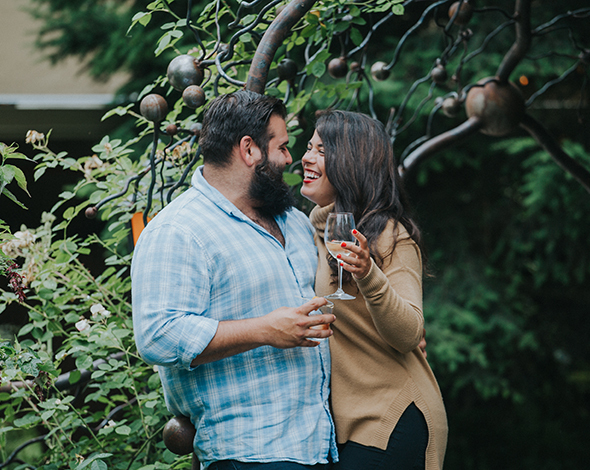 Bothell is a little slice of heaven, giving you the best of both worlds; a green open rural feel mixed with a positive urban vibe in the downtown core. Why all the change? For starters, the University of Washington Bothell campus has expanded to over 5,500 students bringing thousands of new faces to the community. Combined with a growing technology sector, this influx of youth and vitality has created a demand for more fun and trendy things to do. 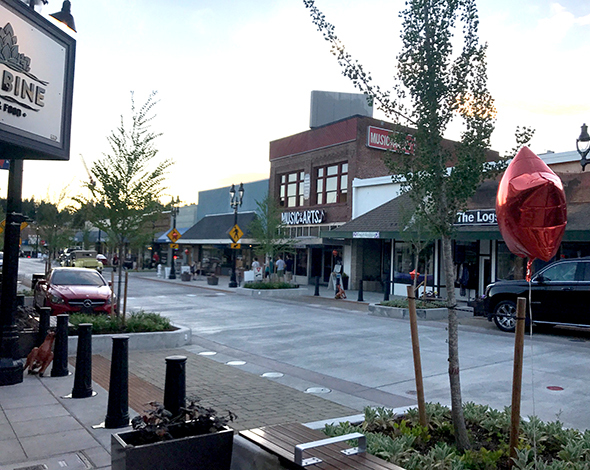 Along with old standards like the ever-popular Country Village, several boutique shops, locally owned diners, distilleries, and brewpubs have sprouted up all over town and completely transformed Bothell’s Main Street. In addition, there are nine hotels and the beautiful Eason Estates B&B to make your stay convenient and enjoyable. 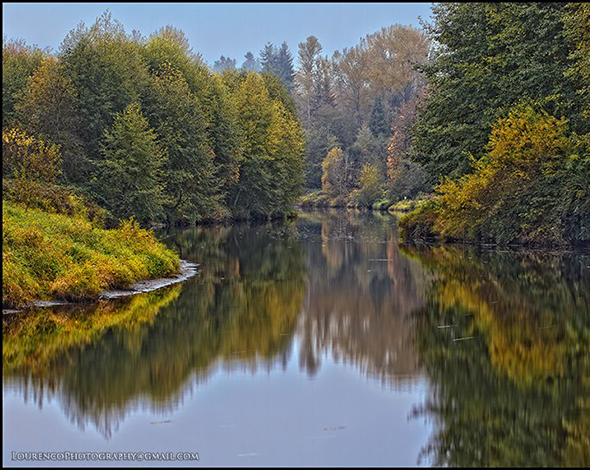 Bothell is a little slice of heaven, giving you the best of both worlds; a green open rural feel mixed with a positive urban vibe in the downtown core." 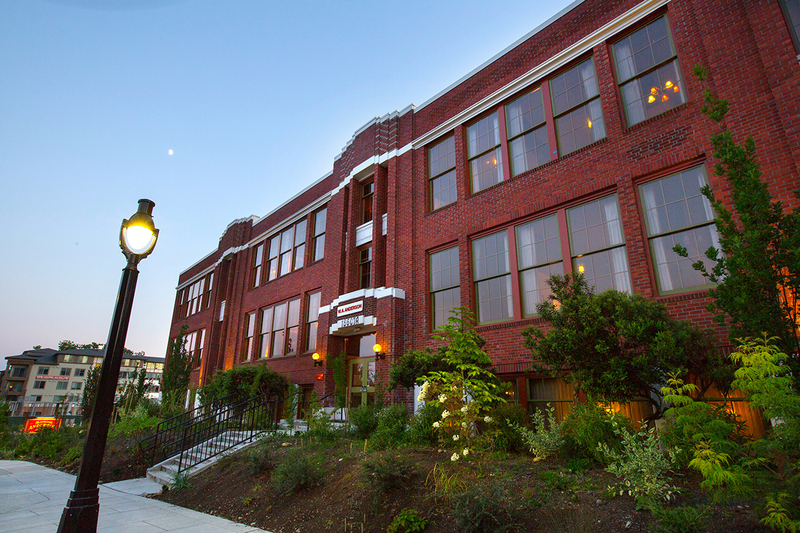 One of the most noticeable and welcome changes is the new McMenamins Anderson School. 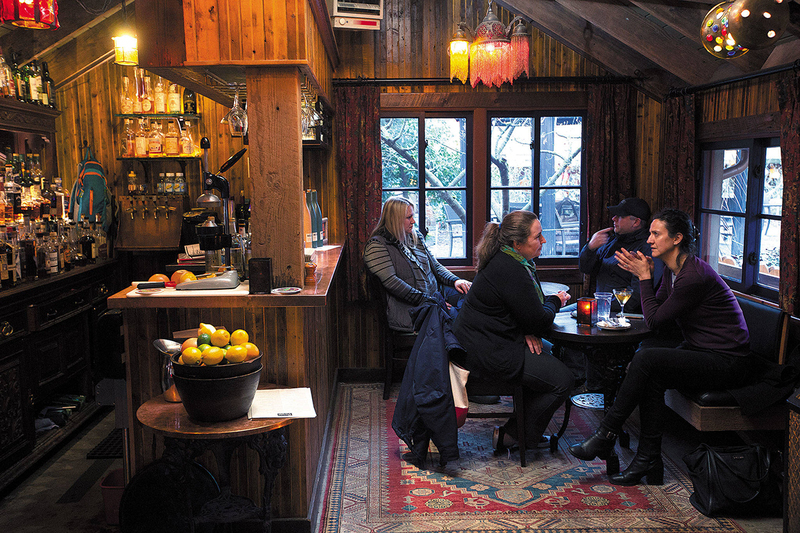 If you’re familiar with the McMenamins model, you know they find the coolest historic buildings in town and totally revamp them into pubs, restaurants, hotels, and breweries, each with its own ambience and charm. In Bothell, that building is the former 1931 Bothell Junior High named for the school’s first principal, Wilbert “Andy” Anderson. While the principal’s name is on the building, the rules of the old school days have loosened up quite a bit. 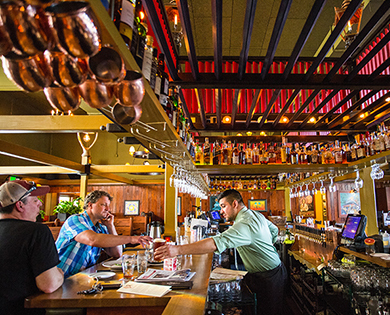 With McMenamins staff in charge, the promise now is “No hall pass required.” It is a fabulous transformation that includes three restaurants and three small bars. The Art Deco school building also features classrooms-turned-hotel-rooms, the North Shore Lagoon full-size swimming pool, and a small movie theater. Revitalized downtown Bothell provides a great blend of urban chic with access to outdoor adventure. 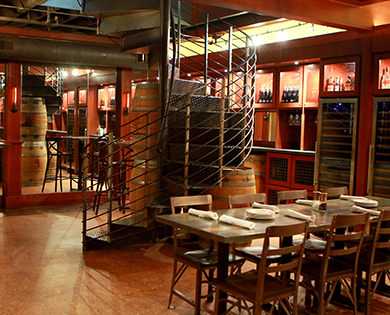 Many new restaurants, pubs and tasting rooms make Bothell a perfect choice to meet up with friends. 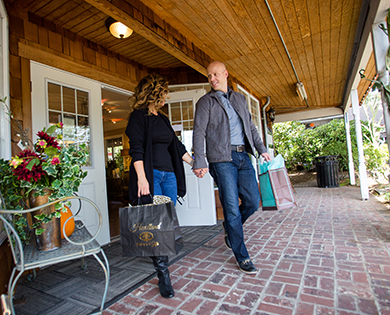 A couple finds treasures aplenty in one of the many boutique shops at Country Village. A giant chicken at the entry to Country Village sets the tone for a fun day. 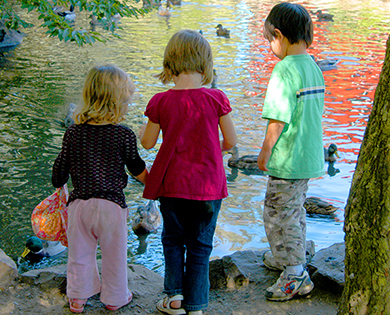 Kids love feeding the ducks at the expansive nature areas of Country Village. 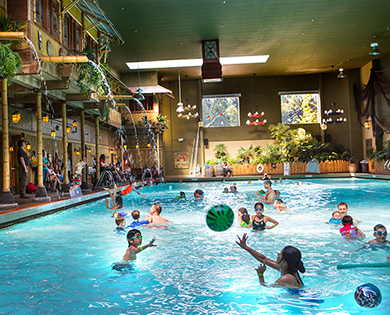 Check out the year-round family events. 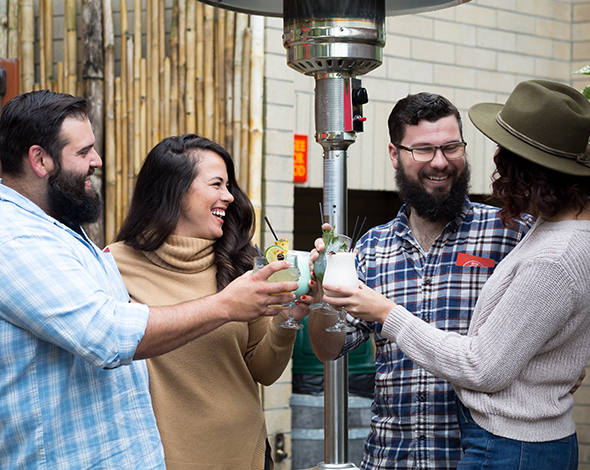 After checking into your room, head over to Main Street to explore interesting shops, including apparel, exotic imports and a great bookstore, then grab a craft beer at one of the downtown pubs. Not too far from downtown, check out Country Village. 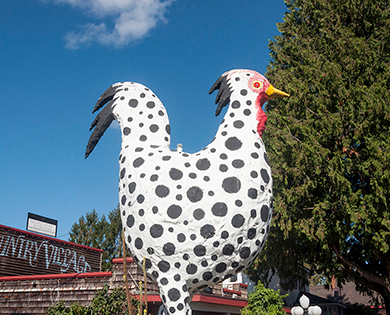 Easily identified by the quirky giant chicken standing in the parking lot, Country Village features over 45 locally owned shops, studios and restaurants, all set in a whimsical world full of brick-lined paths, gardens, home decor, antiques and more. Open year 'round, 7 days a week, you’ll love their many seasonal events! In the summer, it’s also home to the Bothell Farmers Market. Ask shopkeepers to recommend a place for happy hour or dinner and among the many options they suggest will almost always be Revolve Food & Wine Bar. Founded by a local doctor in 2016, Revolve serves organic, non-GMO, locally sourced food that reflects the owner’s passion for wellness, wonderful food and good wine. 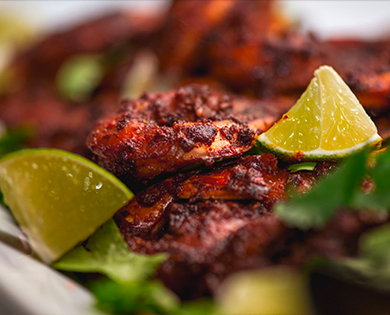 Current dinner menu choices include grass-fed flat iron steak, Moroccan spiced chicken, and market-fresh fish. 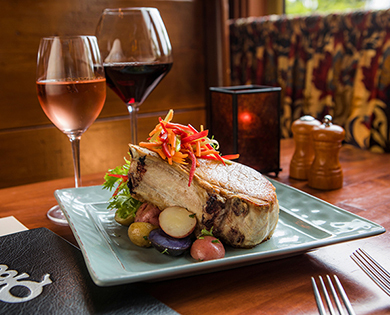 They also feature some great wine pairings. 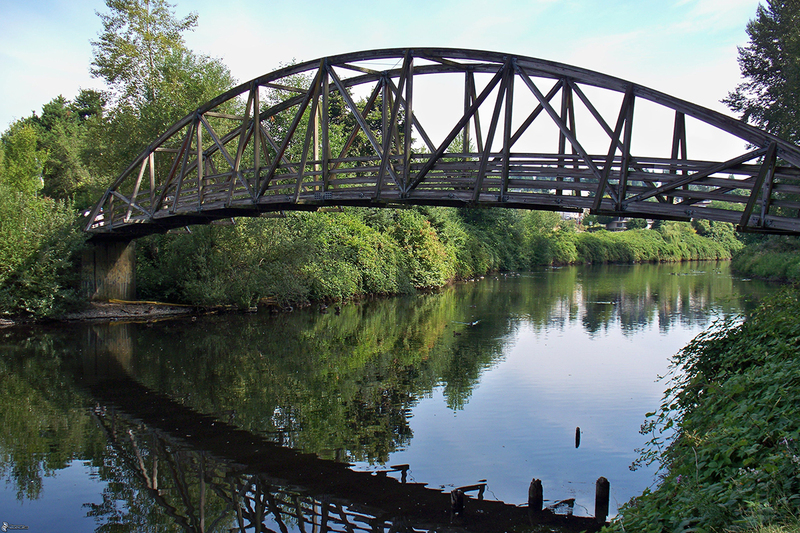 The North Creek Trail links the cities of Bothell, Mill Creek and Everett, as well as the communities in-between. 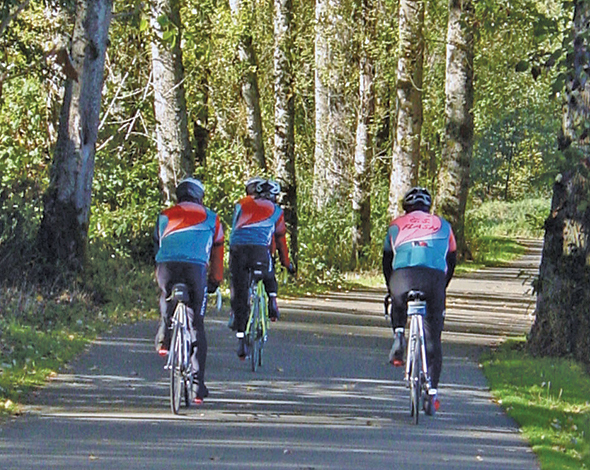 The trail also provides access to the Sammamish River Trail, which connects to the Rail-Trail Hall of Fame Burke-Gilman Trail. In addition to a great shopping, foodie and live music scene, this former logging community is surrounded by nature—so trails, parks and natural open spaces are easy to access and enjoy. The Park at Bothell Landing is a gem of an experience and there are 19 more parks to explore; for even more nature, a kid and dog friendly day hike to Bridal Veil Falls is also featured on the ExploreBothell.com website. Bothell is way more than a sign at an I-405 offramp. It is a vibrant, friendly, and growing little community, so plan to take that offramp the next time you’re in the area and spend some quality time exploring all that Bothell has to offer. 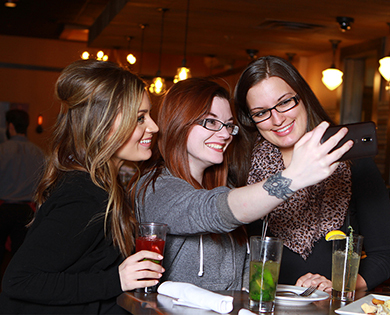 1) Be sure to enter the “Sip & Stay” contest that looks fantastic. 2) Sign up for the Explore Bothell Newsletter to get event updates and planning tips. 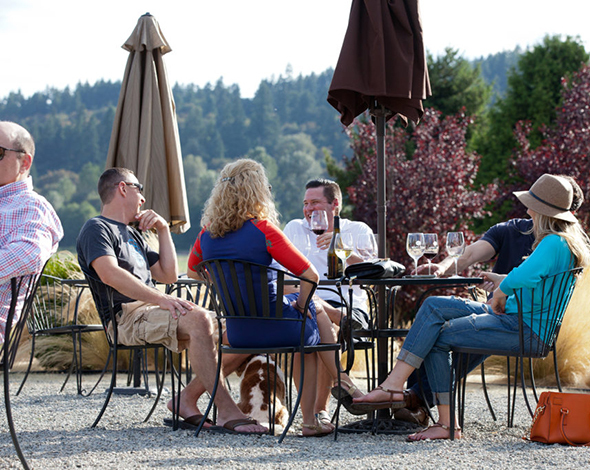 3) For all kinds of fun, insider experiences, follow #ExploreBothell or on Instagram.